Replacing the windows of your home is an easy way to improve your curb appeal and lower your utility bills. At Lakeland Building Supply, we offer a comprehensive selection of wholesale windows in many styles, sizes, and finishes. With products from leading brands that are backed by impressive guarantees, our Waterford building supply company makes updating your windows a cinch. New cabinets do much to update a kitchen, but they can also be one of your biggest investments for this space. Keep costs down by ordering wholesale cabinets through Lakeland Building Supply. We have a wide range of styles and materials from major manufacturers. Keep it simple with laminate or go for a solid, traditional look with real wood cabinet doors. 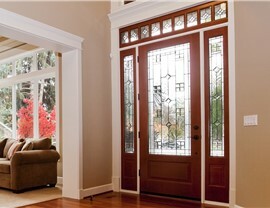 Enhance the entryways of your home with new patio and front doors from Lakeland. We provide durable products that protect your family, keep out the cold, and improve the curb appeal of your property. From the tough steel security door to insulated vinyl doors, we have wholesale doors from local and nationwide brands. You'll also benefit from a lasting product guarantee! Worn out siding is something no homeowner should put up with in a property. When you need siding replacement, our Waterford building supply team can help you find the perfect product. We have options for superior strength, like fiber cement board, and affordable choices in many colors and finishes, such as vinyl siding. Whatever you prefer to use on your home, our consultants will work with you to select a siding that offers lasting durability and style. 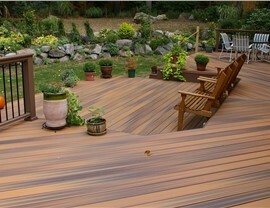 Cold Wisconsin winters mean that any outdoor deck needs to be made from strong, weather-resistant materials. Lakeland Building Supply is proud to offer variety of highly resilient materials for decking and railing from name brand manufacturers. These composite woods and metals stand up to wind, rain, snow, and sun for a lifetime without fading, peeling, or cracking. Make the most of your outdoor space with our decking materials. Ask Us About Waterford Building Supplies for Your Next Project! If you are ready to get started with a home renovation, reach out to us about purchasing affordable Waterford building supplies. Our consultants can help you with the selection of materials that fit your needs and budget. Feel free to give us a phone call or fill out our online form to set up a free consultation. 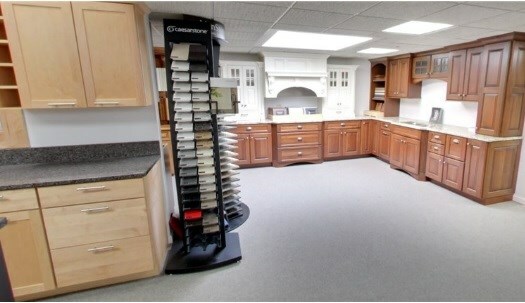 You can also stop in at the Lakeland Building Supply showroom anytime we're open to see samples of our products.